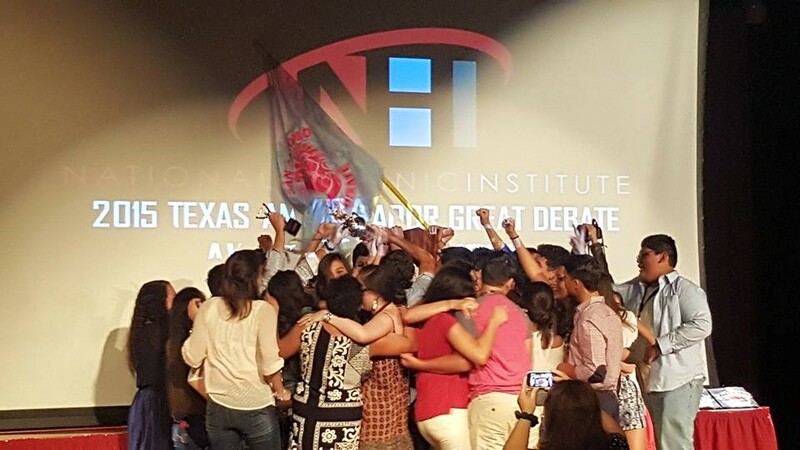 The National Hispanic Institute at San Antonio (NHI@SA), local affiliate of the National Hispanic Institute, is a volunteer base of passionate parents, young professionals and NHI alumni who actively and innovatively engage the youth of the community. 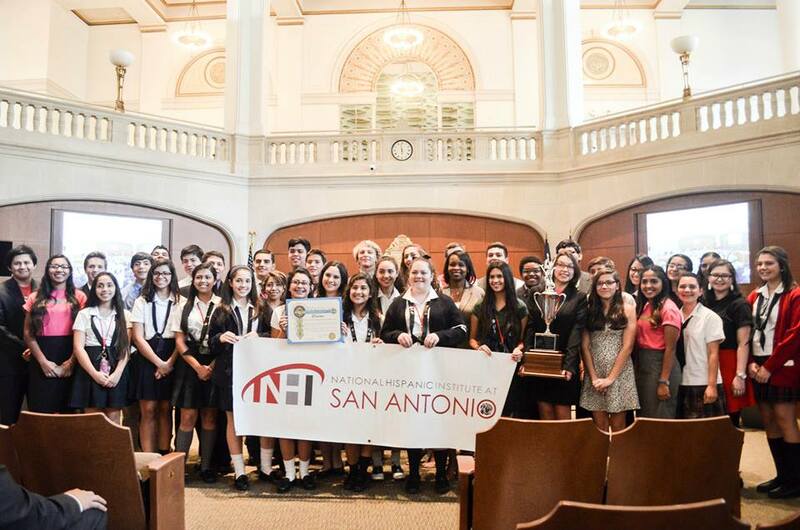 We offer students the opportunity to participate in multiple programs focused on shaping today's youth into leaders while learning a variety of essential skills for today's world, while building a network of friendships and connections. Through our curriculum we promote leadership by examining the character, ethics, beliefs and morals of high achieving youth and work to engage youth in the global Community. Students within our organization are given the opportunity to test and improve their written and verbal communication skills through organized discussions and debates about issues that impact today's community. 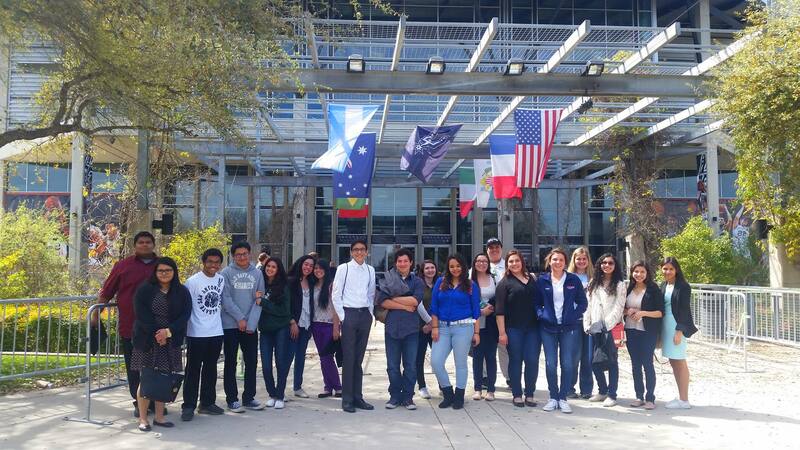 Students gain confidence in public speaking and an appreciation of communication as a powerful tool of leadership. Students gain experience creating content-rich arguments, communicating them through powerful, eloquent expression, and carefully analyzing the arguments presented by their peers. We urge students to begin to view themselves through a different set of social lenses and shift the paradigm by which they view the community. Furthermore there is a call for these youth to become crafters of a new tomorrow, as they are already leaders in their own right. 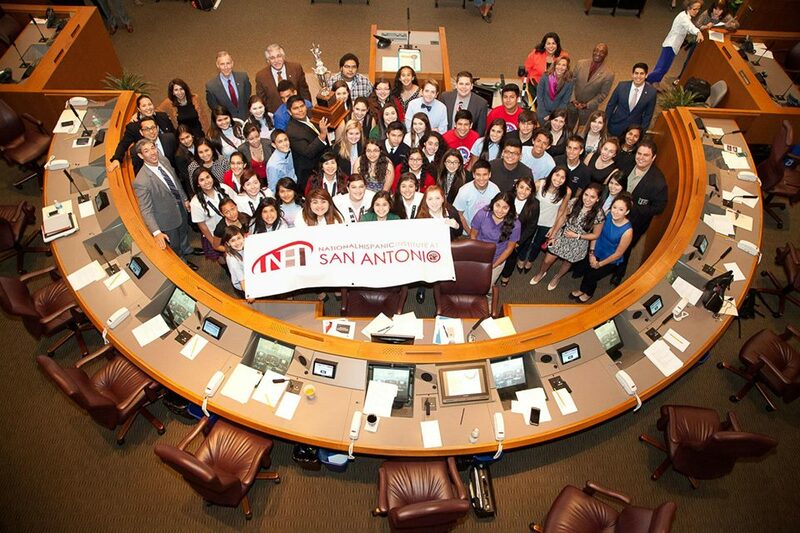 Our work helps move the needle toward the SA2020 vision for increased civic engagement and education.